Skincare has become a huge part of my life as of recently. 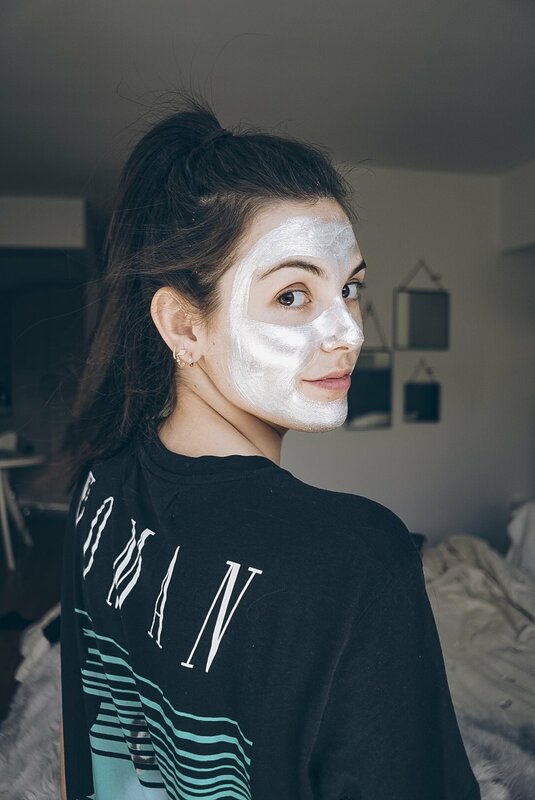 My skin has changed a ton since moving to New York City from Los Angeles, and every night I like to pamper myself with one or two of my favorite face masks. Each one of the below is completely different and serves an entirely different purpose. I absolutely love this mask. I do it twice a week and it completely cleans our my pores and leaves my skin feeling ultra bright and vibrant. It's made for every skin type, however I have heard that if you are prone to breakouts or have severe acne, this is not the best mask for you. I've been a fan of GlamGlow for years now, and this was the first mask of theirs that I tried. This mask smells amazing and deeply cleans your pores. It's not the best for dry skin, but it really helps clear blemishes and gets deep in your pores to rid your skin or whiteheads and blackheads. You can also use it as a spot treatment if you have a pimple or two, and it will really dry them out! This mud based peel-off mask if designed to leave your skin looking firmer and brighter and it sure does. I use this mask once or twice a week and I love the way it smells and feels. It's also silver and like, really pretty! This overnight mask is amazing. I use it a few times a week and I wake up with bright and vibrant skin. I have been a fan of Kiehl's for as long as I can remember. Their products are gentle and made with only the best ingredients. Their facial cream and under-eye avocado cream are my other go-tos. This mask is designed to work on every skin type and helps to firm the skin over time. WOW. Let me just say I'm obsessed with this overnight mask. It has been proven to reduce the size of pores, leaving your skin feeling hydrated and fresh. Let me just say, it actually works. I love this mask for traveling because it really locks in hydration, great for after a flight or a long day in the sun! This mask is very subtle and gentle, yet it really works. This mask is suitable for every skin type and locks in moisture to help restore vitality in your skin with it's mineral ingredients. I'm a fan of Epicuren products and love their facial cream, smells like citrus!